A simple method to account for non-price related factors when evaluating quotations. When we get a quotation for some work we often just look at the price to determine what option to choose. However, when we know the service we want and we have spent time with each of the providers we often don’t choose the lowest price, why? Simply we choose a preferred supplier based on other things such as service, helpfulness and experience. Just think about the car you drive, is it the cheapest? When you take these other factors into account you choose a better option. But how do you apply this to something like a fire protection maintenance contract? 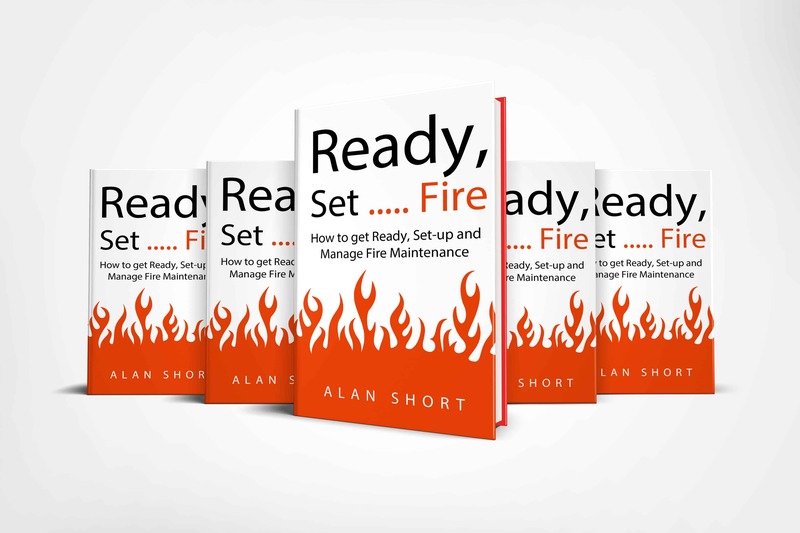 In the “Book Ready, Set … Fire: How to get ready, set up and manage fire maintenance” our Managing Director, Alan Short, presents a structured approach on how to take these “other” factors into account. Below is that section of the book. If you would like a FREE copy of the whole book “Ready, Set … Fire” please follow this link. Decisions are often made with our emotions and subconscious mind rather than with our logical decision making brain functions. While this is often correct, we can be swayed towards people and organisations we know and like, excluding those that might be a better option. One way to overcome this bias is to develop an evaluation matrix for a project before you start to review the quotations. Our recommended process is to use a weighted evaluation matrix. Next you assign a weighting to each of these factors. For example if you have 4 criteria you start each criteria with a weighting of 25, which for 4 criteria gives you a score of 100. While retaining the total score of 100 adjust the weighting for each criteria up or down depending upon the relative importance to you. You may find that some criteria are weighted to 40 while others are at 5, which means one criteria is 8 times more important than the other. We now have a list of criteria and relative weighting to give us a score out of 100, refer to the example below. The next step is to evaluate each quotation against the criteria as a percentage. Where a score of 10 means that this quotation completely fulfills achieves the criteria. This price percentage is then multiplied by the weighting to get a score for the price criteria. 100% Meets all requirements of an ideal tender. 90% Meets most requirements of ideal tender. 80% Meets many of the requirements of ideal tender. 70% Meets a number of the requirements of ideal tender. 60% Meets the minimum requirements but only just satisfactory for this criterion. < 50% Fails to meet the minimum requirements. Careful consideration should be given to accepting a quotation that receives a score less than 50%. Now for each quotation you have a set of evaluations against an agreed set of criteria that you have assigned weightings to. When these are all multiplied out, the result is a score out of 100 for each quotation. If the weightings and criteria are accurate, the supplier with the highest score should represent the best value for money. Based on the above scoring Company GHI is the preferred supplier even though they had the second highest price. While Company DEF provides the lowest price they also provide the lowest level of service. We recommend that, before you calculate the scores for each quotation, you take some time to decide which order you would see the quotations sitting from best value for money to poorest value for money. This is a useful check that the weightings and scores you have used is correct. If there is a mismatch between the two methods then you can take time to ask the question: Why is there a difference and which method has identified the best value for money? In our example, if your gut tells you that Company ABC is going to be the best to work with and will provide you some other factors that you hadn’t included in your assessment criteria, you may decide to go with them as their score was not far behind Company GHI – 3 points different out of a possible 100 points.